Is Your Child’s Sandbox Sand Safe? There’s something so innocent about a little kid playing in a sandbox: Is there anything sweeter than a tiny human who needs nothing more than some sand and a plastic bucket to be happy? It’s hard to imagine this simple form of entertainment could be hazardous to a child’s health — but the truth of the matter is, if they’re playing in store-bought sand, they might be exposed to some serious risks. When purchasing a bag of sandbox sand, you may just be exposing your kid to toxic ingredients, namely microcrystalline silica. Commonly, playground sand is made from quartz rock, which is why many of these bags o’ fun are slapped with a California Proposition 65 label warning of the health hazard contained within. As any parent can attest, sandbox sand is dusty and dirty. Unfortunately, “as children play, sand becomes airborne and inhaled,” explains Nick Cicone of Kid Safe Sand. When these tiny particles of silica lurking in sandbox sand enter your kid’s lungs, it can cause serious illness. According to the Centers for Disease Control and Prevention, breathing in the tiny carcinogen can lead to silicosis, an irreversible disease, as well as lung cancer, airway diseases and pulmonary tuberculosis. Exposure to these compounds may also be related to the development of chronic renal disease, development of autoimmune disorders and also have other bad health outcomes. The Environmental Protection Agency warns that exposure to silica is bad news regardless of the source. The good news? It’s preventable. 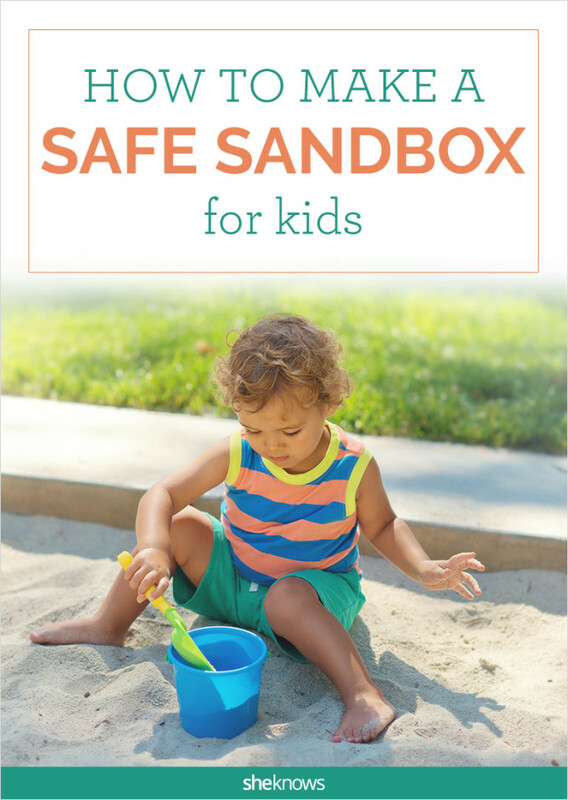 The most important — and easiest — way to shield your little ones from toxic sandbox sand is to opt for safe sandbox sand or other play sand alternatives. “A safe sandbox is all about sand not containing health hazards, such as microcrystalline silica,” explains Cicone. “Silica-free sand contains no known hazardous substances,” making it a safe sandbox option for your child to dive in and get dirty with. When using safe sandbox alternatives to traditional play sand outdoors, be mindful of materials that are designed to absorb moisture, as they will eventually mildew and need replacing. That said, dangerous sandbox sand and silica-free sand are not the only options for your child’s sandbox. 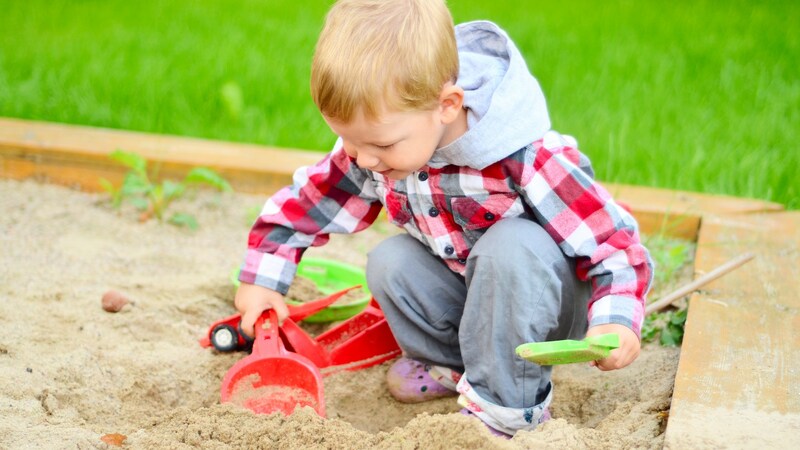 Despite the truth about sandbox sand, if you can’t afford to replace the play sand you already have with silica-free sandbox sand right away, it can still be made safer by keeping materials damp and minimizing dust. Just remember to keep your sandbox covered when your kids aren’t at play; cats and other outdoor critters may see this play space as a litter box (and expose your children to toxoplasmosis, a parasite contained in cat feces). By taking a few precautionary steps, you can focus less on the hidden dangers and more on how you’re going to get your kids to stop throwing sand at each other. A version of this article was originally published in July 2012.